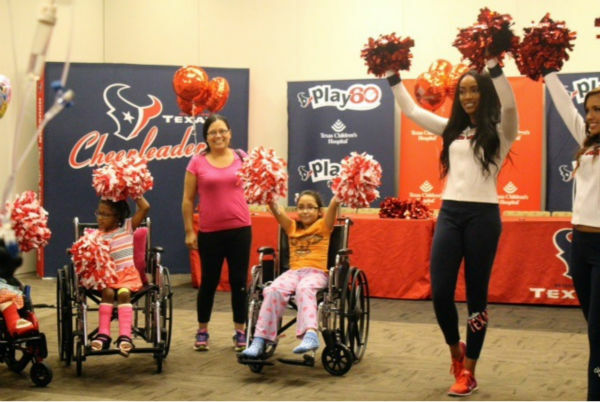 HOUSTON (KTRK) -- There were plenty of pom-poms and wide smiles as patients at Texas Children's Hospital had a chance to become honorary Texans Cheerleaders Monday. 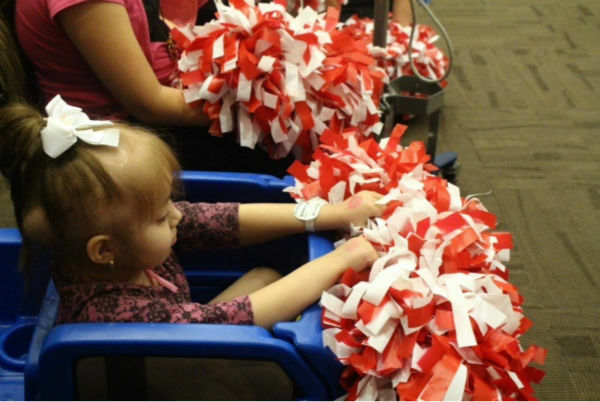 Members of the Texans cheer squad held an exclusive mini cheer camp for patients and their siblings. 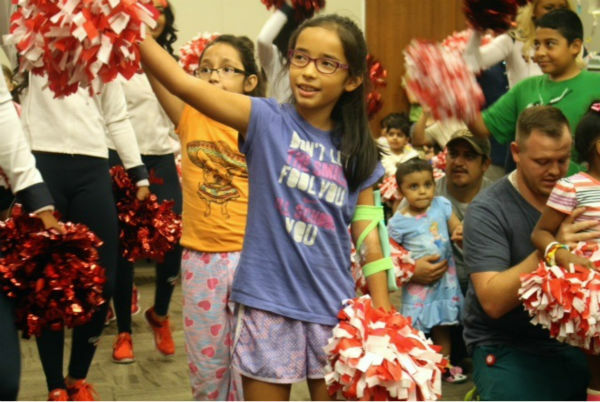 The cheerleaders taught patients a short routine that they performed in front of their family and friends. 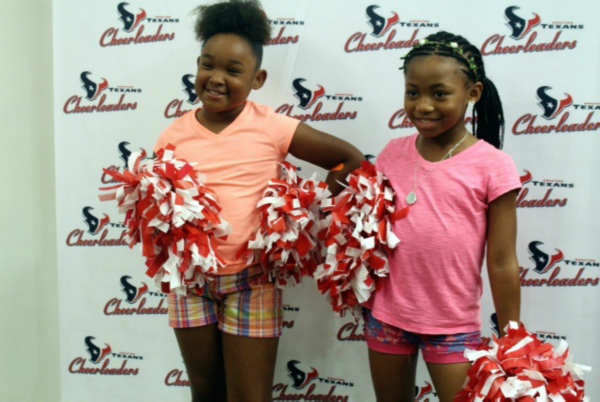 Nine-year-old Je'lah White, who is recovering from surgery to remove a bone tumor, said it was a miracle to meet the cheerleaders and thanks the squad for supporting them. 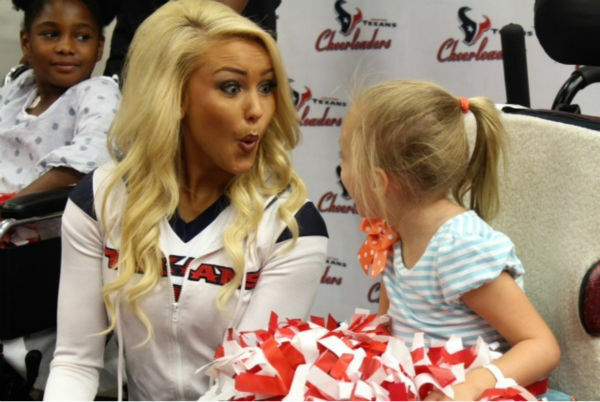 "I have never done cheerleading in real life," Je'lah said. "Today was awesome and I learned a lot of moves." 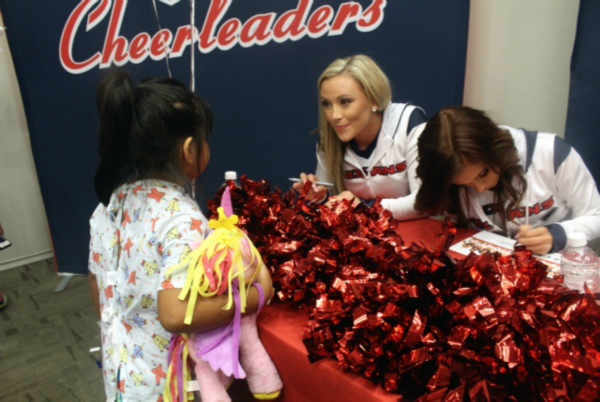 After the performance the families had an opportunity to get autographs and take pictures with the cheerleaders. Je'lah's dad said the camp was a moment that warms the soul and gets the children away from their situations for a while. 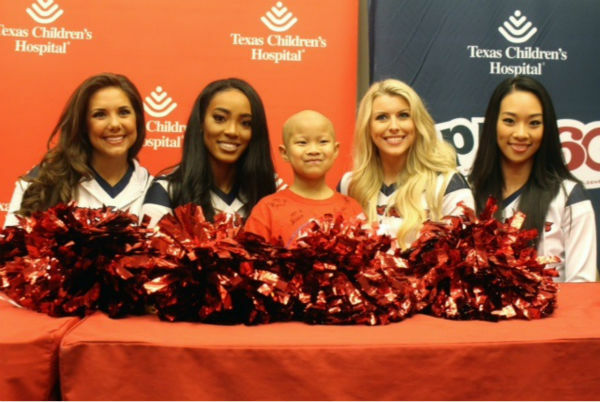 "I think it puts a lot of joy in the kids' hearts, knowing that they get to meet the cheerleaders, the ones they watch during football games with their dads," said Marcus White. "And by getting to do hands-on experience, it cheers them up from coming out of surgery and they get to play with their friends." 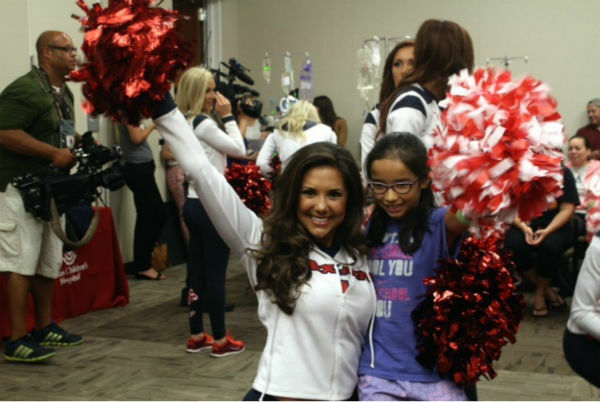 This was more than an uplifting event for Texans cheerleader Ashley S., who had a stay at Texas Children's Hospital in 2006 after being diagnosed with S.M.A Syndrome, a gastro-vascular disorder. Ashley said she is glad to be on the other side now and to be able to put a smile on the kids' faces. 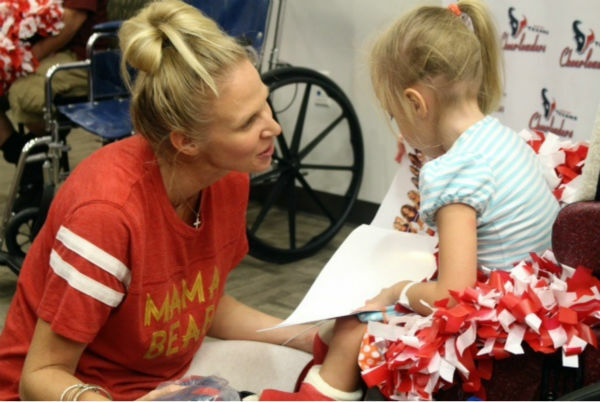 "I hope they remember this for the rest of their lives, not only the patients, but my teammates who are here with me. 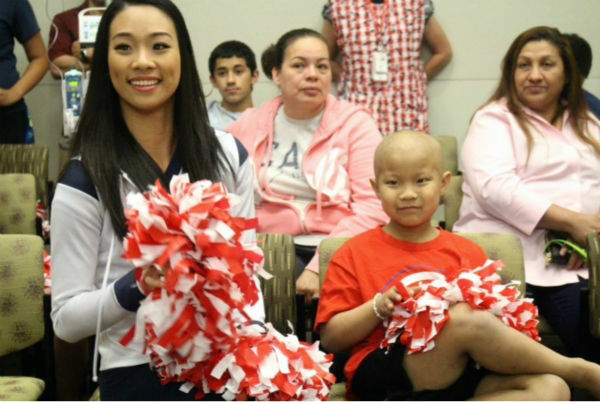 It's a life changing experience to teach them what we know, and to just be here and smile with them," said Ashley. 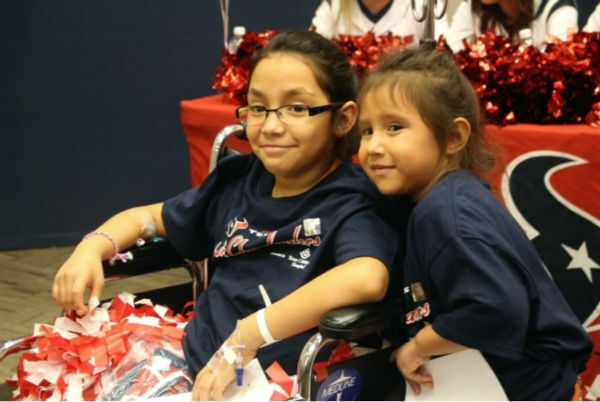 The cheerleaders also visited patients' rooms and those at the camp were given junior Texans Cheerleader t-shirts. 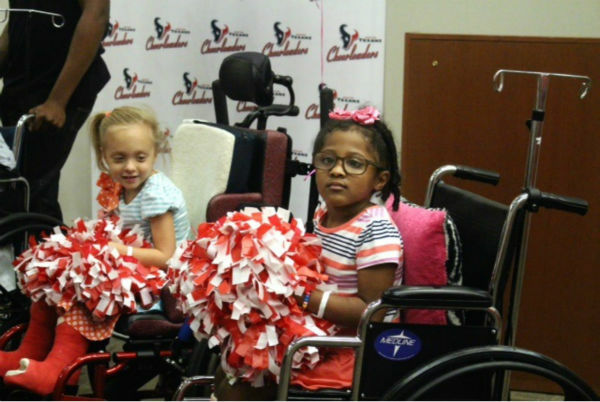 The Texans' upcoming season was also a major discussion with patients and parents. "I'm glad the organization took the time to make young kids feel great, and I hope the team makes the playoffs this year," said Marcus White.